Dillanos Coffee Roasters from Sumner, Washington, is taking specialty coffee to a new level. Dillanos offers well-rounded blends and special seasonal offerings from small farms in Africa and Latin America. The DCR line is a well-curated menu of coffees that include limited release micro-lots and single origins that are meant to be ground and consumed as soon as they arrive in the mail. They’re that fresh. 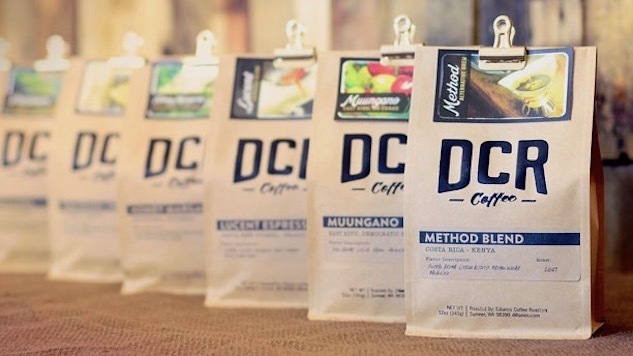 Here are five tasty DCR coffees to check out. From Ethiopia, which is known as the birthplace of coffee, comes this delicate and citrusy coffee. The beans come from small lot grown 1900 meters above sea level, in the Gedeo region. The high elevation accounts for the coffee’s sparkling, fruity quality. It’s lightly roasted and elegant with an aroma like fresh apricots and spice. It’s hearty enough for a morning coffee but also would be nice for an after-dinner coffee as well. A sweet coffee from the Andean region of Antioquia, Colombia, La Falda has a smooth, even flavor and the aroma of a warm cookie. This coffee is produced by Jose Arcadio Caro, whose farm has produced coffees that have ranked in the top 10 in the prestigious Cup of Excellence program. The beans are of the Caturra varietal, which grows well in Colombia and is known for their bright acidity and low-to-medium body. The coffee is good for any time of the day, especially morning. For milk lovers, the brown sugar, maple and caramel flavors would mix nicely with warm milk. This is another small lot coffee that offers a combination of fruity flavors. Grown at Finca El Manzano in El Salvador, this light-roasted coffee has the juicy flavor of strawberries and raspberries with a hint of chocolate. A sweet dessert-like taste that is still hearty and satisfying enough for morning coffee. Brewing manually with a Chemex brings out its pleasant aroma. Creamy and caramel-like and bold, this espresso blend combines premium beans from Ethiopia, Papua New Guinea and Brazil that are light-roasted to provide a slightly acidic taste. The flavor is strong enough to shine through when combined with milk. It creates a smooth and velvety-textured cappuccino, or a frothy and tasty unadorned espresso shot. This is one of my favorite espressos. This is a uniquely crafted coffee that was aged in a charred whiskey oak barrel. The Rio Azul coffee was suspended inside a Woodinville Whiskey barrel so that it had no contact with the sides. The result is a deeply aromatic coffee. The taste is very strong, almost heavy. It’s smoky and oaky, and unlike any coffee I have tried before. This is more of a special occasion coffee (definitely not your morning joe). After spending a hefty amount of time manually brewing a micro-lot of freshly-roasted coffee in the morning, there’s never enough time to sit down and enjoy it. I tried the Dillanos Hydro Flask found it works well for keeping coffee warm while on the go. The sleek, compact, 12 oz. flask travels well and stores easily in my bag. It’s the perfect accessory.